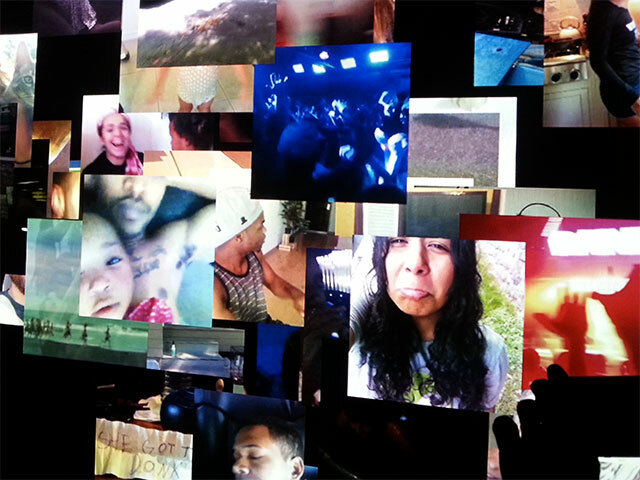 24hour Social is a data-driven 24 hour generative video installation, powered by 24 hours of data appropriated from Vine, Twitter's 6-second video sharing platform. Vine is a mobile app that enables its users to create 6 second looping videos and post them online. The service explicitly sets out to hold a mirror to the everyday, describing Vines as "little windows into the people, settings, ideas and objects that make up your life". 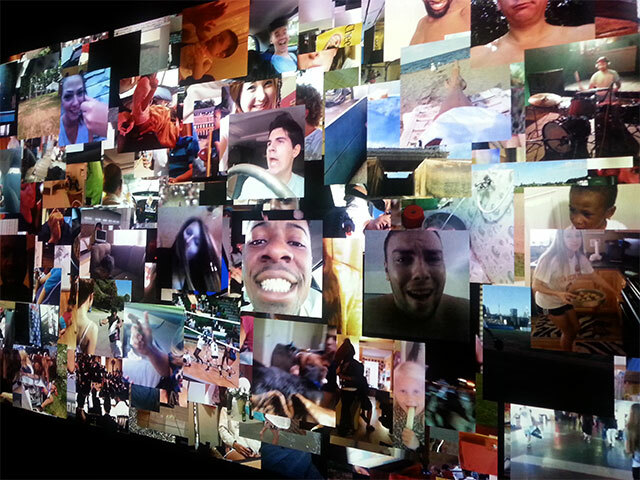 24h Social presents a portrait of Vine as a social-media-fueled Man with a Movie Camera, capturing the unfolding day across the Internet. However this video content is simultaneously seen as data with this view inculcated into the algorithmic methods of its creation. 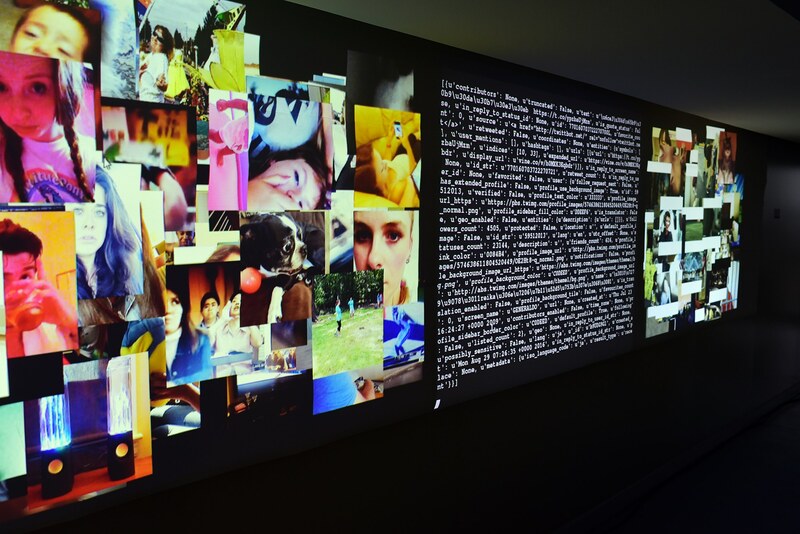 The video installation is powered from a database of videos, and their associated meta-data, which have been appropriated from Vine, downloaded and saved for posterity. 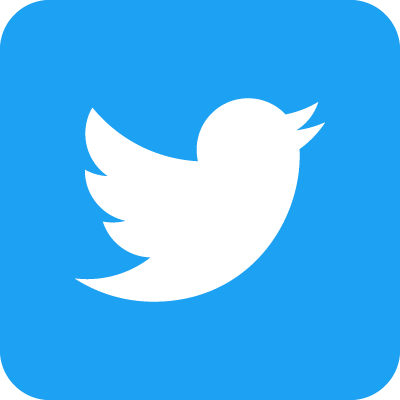 24h Social shows 86,400 Vines in a 24 hour period, one for every second of the day , or a fifth of the total daily tweeted output. 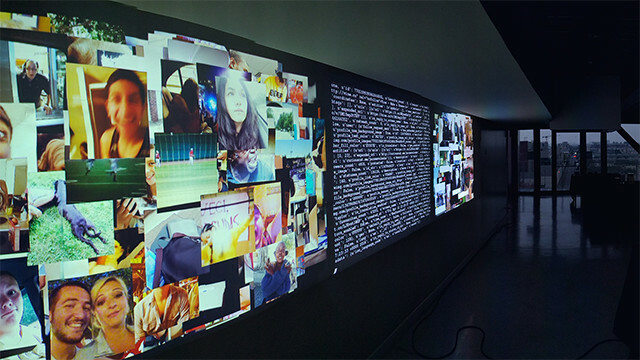 Each video is algorithmically synced to play at the time of its original creation and once played remains on-screen to be over-layered by subsequent videos building up a rich, multi-layered and kinetic screen reflecting the complexity and always-on nature of Vine's torrent of video data. 24h Social approaches Vine as a social media service where the creative expressions of its users are performances in data. It seeks to critique and unravel the entanglements of a platform that affords genuine creative and innovative expressions which are then commodified as a data-product. This is achieved through capturing a day of this data and re-commodifying it as an artwork, an act which knowingly appropriates the creativity of the platform's users. 24h Social seeks to reflect on this central dilemma of our networked society; the desire to engage with ubiquitous networked platforms that facilitate creativity and sociality in a myriad ways whilst seeking to mitigate their codification of the everyday as so much data to be mined and manipulated. 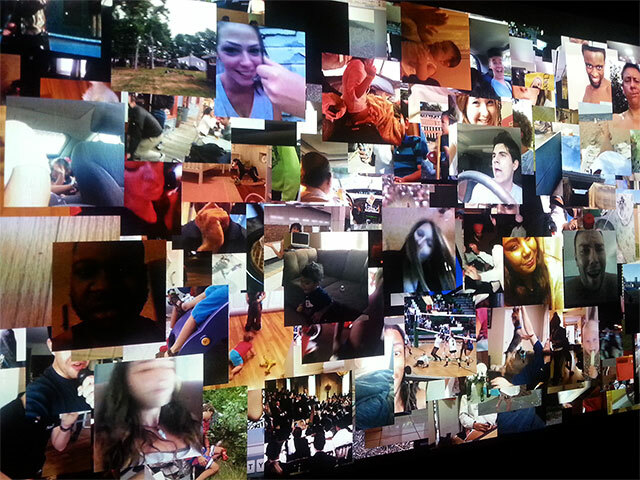 Three Channel Installation of 24hour Social including two video channels and a data channel, Maison des Sciences de l'Homme Nord, Paris 2016.